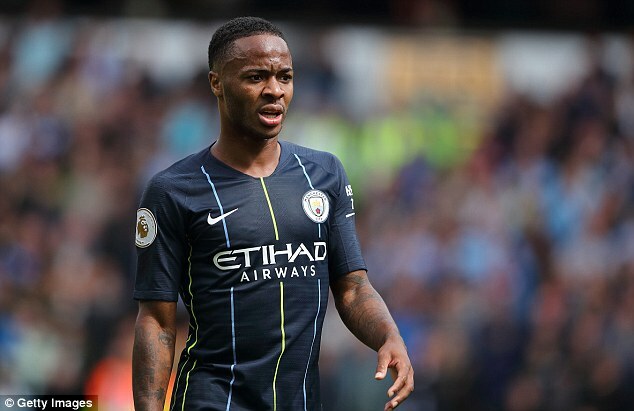 Real Madrid are monitoring developments with Raheem Sterling at Manchester City. The Spanish side are admirers of the England international who has yet to agree terms on a new contract at City and is open to furthering his career abroad. Madrid, however, will not make an offer before this week’s transfer deadline. Sterling was a key member of Pep Guardiola’s title-winning side last season and continues to develop under his manager’s tutelage. The 23-year-old also starred for England in their run to the World Cup semi-finals in Russia, although came in for some criticism for a lack of cutting edge in front of goal. His scoring prowess has been impressive for City however, netting 23 goals in all competitions for the club last season. Sterling joined the club from Liverpool in 2015 and established himself as a first-team regular. Another stellar season as an integral member of Guardiola’s side could pique the interest of Real but the Spanish giants still consider Neymar their primary target next summer. The PSG striker only joined the French club last year for £198million but is thought by many to be the man to eventually fill the void left by Cristiano Ronaldo.